As the 1970s dawned in Germany there was an upwelling of creativity in Underground music, a scene rather controversially dubbed 'Krautrock' by the UK music press. Young German musicians wanted to break away from the hegemony of American and British pop music and rock'n'roll, and the legacy of their parents' generation, stained as it was by the Second Word War. All this fuelled a creative movement that chose unfettered self-expression over rehashing Chuck Berry riffs. With their trademark mix of curious pop tunes, idiosyncratic ensemble playing, and the sound of power tools in action, Faust produced some of the most exciting, far-reaching music of the era. And it still sounds like nothing else today. Faust were certainly in the right place at the right time. They were born in 1970 from the merger of two Hamburg bands who had come to the attention of Uwe Nettlebeck, the influential left wing journalist. Nettlebeck knew the Baader Meinhof Gang, but more importantly for the group, had dealings with the German branch of Polydor. Aware that Germany was a creative hotspot, the record company wanted a homegrown band to rival the top English groups. At the time there was a lot of money in the record industry. But even now it seems amazing that their trust in Nettlebeck resulted in an unknown band being installed in a studio in a converted schoolhouse near Wümme and left to their own devices. Faust also had access to a top engineer, Kurt Graupner, and Nettlebeck would occasionally report on progress, while the band grew tomatoes and possibly other things too, and they experimented with sound. Polydor persevered with the group, who then recorded So Far. The album – this time in an all black cover – was slightly more conventional with some shorter tracks, even a pretty guitar instrumental, 'On The Way To Abamäe'. But although 'It's A Rainy Day, Sunshine Girl', a pop song boiled down to one chord and one tom-tom beat, gained some radio play and a cult following, wider commercial success unsurprisingly eluded them, and the group were dropped by the label. In 1973, Faust were picked up by the newly formed Virgin Records. Back in Wümme the previous year they had recorded Outside The Dream Syndicate providing suitably pared down backing to the drones of American ultra-minimalist viola player, Tony Conrad. Released at the height of progressive rock flamboyance on the label's budget price subsidiary, Caroline, it sounded shockingly spartan by comparison. But the album that really made Faust's name in the UK was The Faust Tapes, which came out the same year. A dazzling collage of material recorded in Wümme and made up of 26 edits, it ran the gamut from charming ditties to idiosyncratic instrumentals to searing machine noise. Virgin decided to retail the album at 48p, the price of a single at the time, which meant that it sold 100,000 copies in the first month alone. But it was such a radical release that many who bought in on spec hated it. While Simple Minds singer Jim Kerr remembers spinning it off a tall building in Glasgow, to many fans it is Faust in excelsis. The ploy worked and Faust began to gain momentum in the UK, even though their live shows in late 1973 were unpredictable affairs, with group members taking time out to play pinball onstage. Their first proper album for Virgin, Faust IV, was recorded at The Manor in Oxfordshire in 1973 and has a smoother, less disjunctive feel. But although they didn't have the freedom allowed them in Wümme, it contains some of their best work including 'Jennifer', a haunting ballad that dissolves into a maelstrom of guitar noise and fades out with a lone piano. (The album was re-issued by Virgin in 2006 with a bonus disc of alternative studio versions and BBC radio sessions). The follow-up would have been a worthy successor, but having installed themselves in an expensive Munich studio in a rather blasé manner, when Virgin declined to pay the bill, the impecunious group did a runner. That tactic didn't work and keyboard player Jochen Irmler's mother ended up helping to pay off the debt. Those sessions were eventually released as Munic & Elsewhere on Recommended Records in 1986 and re-released together with some hitherto unheard Wümme recordings as 71 Minutes on ReR Megacorp. This material, together with all the Wümme albums (with the exception of Outside The Dream Syndicate) and BBC radio sessions make up the five CD box set The Wümme Years 1970-73 also released on ReR. After lying dormant for the best part of two decades, Faust resumed live work in 1990 at the Hamburg Prinzenbar and released a comeback album Rien in 1994, with music assembled and edited by American guitarist and producer Jim O'Rourke. Footage of a December 1996 London concert, known as The Rock Aktion Party, which included welding, naked action painting onstage and agricultural machinery blasting bagfuls of leaves into the audience, was released on DVD as No One Knew If It Ever Happened. In 1997 the group released You Know FaUSt on their own Klangbad label, a compelling assemblage of instrumentals, songs and musique concrète in the vein of their earliest work. In what has become a tortuous tale of fall-outs and switched allegiances, there are currently two versions of Faust, one with bass player Jean-Hervé Peron and drummer 'Zappi' Diermaier, and another led by Irmler. Both incarnations have released excellent albums, including C'est Com... Com... Compliqué (2009) and Faust Is Last (2010), respectively. Coming on the heels of the cut-and-paste sound-collage schizophrenia of The Faust Tapes, Faust IV seems relatively subdued and conventional, though it's still a far cry from what anyone outside the German avant-garde rock scene was doing. The album's disparate threads don't quite jell into something larger (as in the past), but there's still much to recommend it. The nearly 12-minute electro-acoustic opener "Krautrock" is sometimes viewed as a comment on Faust's droning, long-winded contemporaries, albeit one that would lose its point by following the same conventions. There are a couple of oddball pop numbers that capture the group's surreal sense of whimsy: one, "The Sad Skinhead," through its reggae-ish beat, and another, "It's a Bit of a Pain," by interrupting a pastoral acoustic guitar number with the most obnoxious synth noises the band can conjure. Aside from "Krautrock," there is a trend toward shorter track lengths and more vocals, but there are still some unpredictably sudden shifts in the instrumental pieces, even though it only occasionally feels like an idea is being interrupted at random (quite unlike The Faust Tapes). There are several beat-less, mostly electronic soundscapes full of fluttering, blooping synth effects, as well as plenty of the group's trademark Velvet Underground-inspired guitar primitivism, and even a Frank Zappa-esque jazz-rock passage. 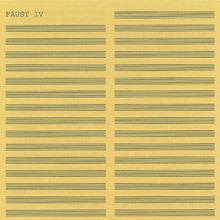 Overall, Faust IV comes off as more a series of not-always-related experiments, but there are more than enough intriguing moments to make it worthwhile. Unfortunately, it would be the last album the group recorded (at least in its first go-round). 2013 marks the 40th birthday of the Virgin record label, one of the most consistently ground-breaking and innovative record companies of all time. The anniversary is being celebrated with five highly desirable new retrospective collections containing all of the major creative and commercial landmarks in the history of Virgin Records. ‘Losing Our Virginity’ pays tribute to the label’s opening releases and stops off at all the important artists and tracks of its pre-punk years. 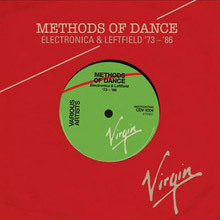 These were the days when Virgin hosted much of the most pioneering progressive work of the 1970s and was also home to some other truly maverick talents. From Krautrock to prog, avant-rock to pioneering synth-rock, ‘Losing Our Virginity’ is a fascinating journey through the birth of a legend. Key tracks include: Mike Oldfield "Tubular Bells" Kevin Coyne "Marlene" Faust "Giggy Smile" Gong "The Pot Head Pixies" Captain Beefheart "Upon The My-Oh-My". This CD issue compiles (most of) the tracks from the two vinyl LPs from the early 80s. Highlights for me are the BEF/MacKenzie 7:07 DUB mix of "Secret Life Of Arabia", Japan "Art Of Parties" 12" and BEF/Human League/H17 contributions (some from recent remasters). If you want a compilation that straddles 80s comercialism through to exclusive and odd, this is a bargain! Various Artists - Prog Rocks! 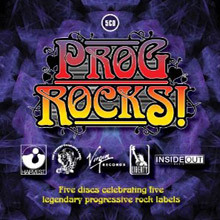 This double CD compilation is somewhat unusual in that it is not packed with tracks that every prog lover will already have. 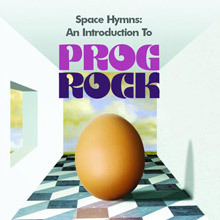 The selection has been chosen by Jerry Ewing, editor of Prog magazine, clearly a man who knows his prog. This is an EMI sampler so all the bands featured are from labels associated with EMI. The compilation can roughly be divided into a first CD that contains mainly classic prog bands from the 70s, and the second CD that concentrates more on tracks that go right up to the present day. The tracks have been chosen for their proggyness, length and relative unfamiliarity. So with Hawkwind, instead of the ubiquitous Silver Machine, we get The Psychedelic Warlords from Hall of the Mountain Grill. There are will known classic period bands such as Jethro Tull and Barclay James Harvest but in amongst them are real finds from relatively unknown bands like Rare Bird and Eloy. There are then prog contributions from bands like Roxy Music and ELO that you wouldn't normally expect to see on such an album. The second CD continues with classic bands like Tangerine Dream and Marillion but then takes us through Pallas and The Flower Kings to some of the cutting edge prog bands like Frost* and Beardfish. There are no fillers on this album at all. The album comes in at 2 hours 34 minutes. The tracks are all worth listening to and they are all definitely prog. The booklet has an introduction from Jerry Ewing, full details of each track and includes a thumbnail sized photo of the front of each album. Well worth five stars. 30 tracks. Over 2 1/2 hours of pure Prog. Some of it will be familiar but much of it is not. I particularly liked the addition of bands like Quintessence and Egg that don't get out much. The collection covers the period from the beginning of Prog in the late 60's, right up to some recent stuff by bands like The Mars Volta. I do agree though that they should have had the girl at the end of America. Also, the 3 minute edit of Tubular Bells was pushing it a bit. Having said that, it is well worth the money for under £5 so deserves my five stars.